If you’re visiting our chiropractic care center for the first time, welcome! We’d like you to know exactly what to expect during your first couple of appointments so that you feel comfortable and relaxed. 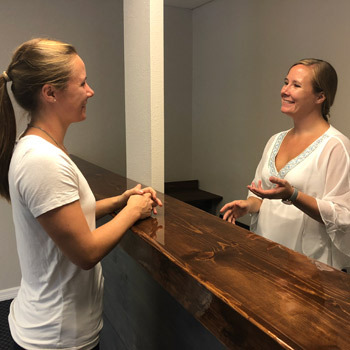 Atlas Chiropractic Center in St. Petersburg is a place where you’ll always be greeted by name with a friendly smile. Our patients often describe our office as kind, genuine, warm and inviting. We hope you think so, too. Your second visit will also take between 30 to 45 minutes. During this appointment, Dr. Johanna will evaluate your examination and X-ray findings to help you understand the source of your problem. She’ll then propose a customized care plan to help you meet your stated health goals. Subsequent visits will usually take between 15 to 20 minutes, depending on the type of care you’re receiving. You’ll find that our office is an oasis of comfort and compassion. We want to provide you with a wealth of cutting-edge services that will assist you on your journey to optimized well-being and a level of health that’s second to none. As professionals, we’re dedicated to providing you with the treatment recommendations that are in alignment with your health goals. But, we want you to know that the choice is always yours. Whether you want to become a lifetime patient that’s interested in maintaining a state of wellness or just want to come in for pain relief, everyone has a home in our practice.